This article describes how nowadays, the learner-centered approach is becoming more and more popular by providing liberties to the learner to choose and study courses of interest. The common problem which persists among the researchers is that they do not exactly point out which subject or coursework which would be suitable for them from their research standpoint. This is because it is very important for researcher scholars to acquire knowledge and skills that will help them to do research in an efficient and effective way. Because of the availability of a wide variety of choices among courses, researchers can be in an uncomfortable situation making a decision about which courses would be more appropriate for them. In such kinds of conditions, a recommender system can be helpful in decision making to choose some suitable courses according to interest and requirements. This article proposes a framework which is novel and convenient for any learning system by integrating various techniques together within this framework. Ever since the inception of E-learning systems since 1990’s, different approaches, techniques and methods are used to get maximum benefit from such systems. E-learning systems with the help of learning management system provide a learner-centered environment, where learners have a choice to select a course of his choice without the constraints of time and space, and provide a flexible education environment. Such kind of flexibility will help to improve the performance of the learner (Zameer et al., 2015). However, due to the availability of a large number of courses learners might feel uncomfortable to decide what courses would be appropriate to them from their area of interest. In such brainstorming and time-consuming situations, only recommender system can be helpful in making decisions related to course selection. Recommendation systems haven’t been adequately used in E-learning as compared to other domains. That is the reason E-learning systems do not have flexible delivery of the learning resources and such conventional systems with insufficient searching technique and absence of personalization are facing maximum challenges (Tsai et al., 2006). Since research is a non-formal educational program and the learning takes place through gathering information and structuring knowledge to expand learning experiences. Learning Experience shows high deviation from person to person and by using information systems for receiving abundant of information cannot influence the learning experience. In addition to that it is difficult for a learner to distinguish which information or course would be meaningful to them if learners are not expertise in that area. Therefore, in both the situation learners are undergoing difficulties to determine what course needed to learn to improve knowledge level and experience (Ji-won, 2016). Therefore, personalization is being seen as an important feature for E-learning systems due to difference in learner’s goals, background, personality and capabilities of huge number of learners (Klašnja-Milicevic, 2015). Personalization refers to tailoring the learners need based on his requirements and the area of interest, knowledge and other preferences. They are being provided with content which is most suitable for their requirements and all information loads are managed by recommender system by personalizing and filtering the data according to learner’s requirement. Personalization has an advantage that the learners are guided in course Selection process according to their Interests and requirements (Nganji, 2011). Personalization in the form of recommendations has gained recognition and significant interest in day-today life as people trust and seek other recommendations for decision making. Recommender systems are being adopted in various fields like Social Networks, E-commerce, E-health, YouTube, and E-commerce sites, reflecting this social behavior to support users in making decisions for making a wise choice with minimum efforts (Hazra et al., 2014). 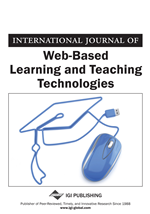 So new E-learning systems should appear to ensure the personalization not only in terms of content, but the courses and such issues can be overcome by applying recommender system to E-learning systems (Benhamdi, 2016).